Body contouring and cellulite removal patients in Atlanta, GA, often choose Sono Bello for professional body sculpting services and beautiful, permanent inch-loss results. 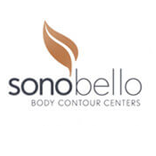 Located on Hammond Drive near the Perimeter Mall, the Sono Bello Body Contour Center of Atlanta is part of a respected nationwide network of board-certified physicians dedicated to treating and eliminating excess body fat for men and women. At the Atlanta Sono Bello, near Dunwoody and Sandy Springs, laser-assisted liposuction and non-surgical body contouring treatments like VelaShape are very popular with guests. In addition to offering patients the latest fat removal techniques and technologies, Sono Bello of Atlanta provides free consultations for liposuction and body sculpting, and the option of monthly payment plans to better manage laser lipo treatment costs in Atlanta. Liposuction patients can always rest assured that their procedures will be handled by experienced board-certified surgeons, and that their unique cosmetic goals and needs will be considered throughout the treatment process. The Sono Bello clinic of Atlanta has an on-site surgical suite available, so liposuction patients can have their consultations and surgery in one convenient location. Sono Bello patients can even receive effective inch-loss and body contouring treatments for unique fat removal areas like the knees, neck, back and chest. To learn more about professional body sculpting and laser lipo services in Atlanta, GA, or to schedule your free liposuction consultation today near Dunwoody and Sandy Springs, contact our representatives! Sono Bello serves residents of Decatur, Smyrna and more. All of Sono Bello's practitioners in Atlanta are board-certified plastic and cosmetic surgeons. Sono Bello's professional staff includes board-certified plastic surgeons, highly trained cosmetic aestheticians, and dedicated patient coordinators. Sono Bello - Atlanta offers Complimentary Consultations. Prior to undergoing laser liposuction at Atlanta's Sono Bello, patients will meet with both a board-certified surgeon and a knowledgeable patient coordinator to discuss their body sculpting goals, concerns and needs. Sono Bello consultations will also include a discussion of treatment costs and involve planning a schedule for upcoming treatments. Ask about Sono Bello's monthly payment plan financing options. Sono Bello of Atlanta is part of a respected, nationwide multi-clinic network. Sono Bello's expert staff performs hundreds of laser-assisted body contouring treatments each month. Sono Bello of Atlanta uses an accredited, on-site surgical suite to perform liposuction in Atlanta. This provides the combined benefits of safety and convenience for Sono Bello patients.